Preserving our heritage through conservation ensures that the best of the past is kept to enrich our lives today and in the future. 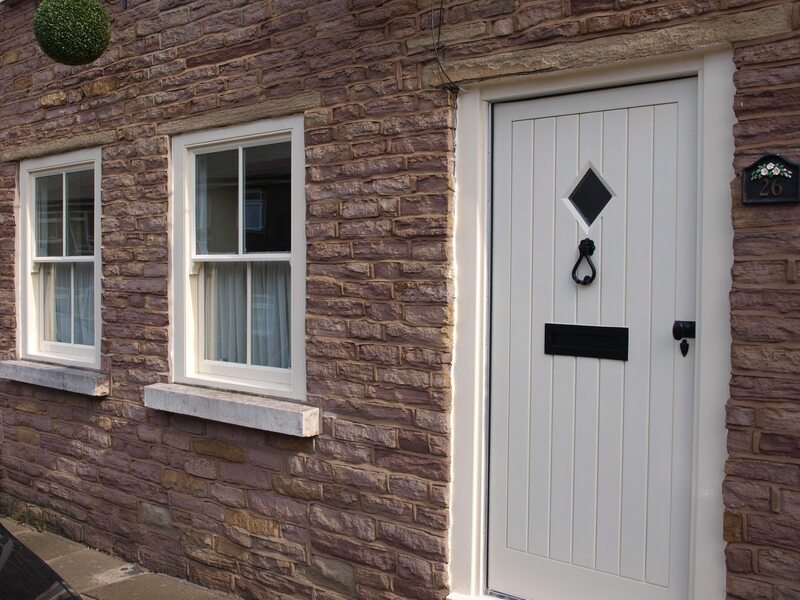 With years of experience through our wide spread of branches, providing the finest solid timber windows and doors, we have carved out a solid reputation with conservation teams across the United Kingdom. From our reputation, we are in a strong position to offer sound and impartial help and advice on conservation and planning in your area. Customers across the United Kingdom can rest assured they’ll be working with a team who take great pride in their contribution towards lasting heritage. The picture on the left is a project we recently completed in Bollington Conservation Area. It consisted of two replacement sliding box sash window refurbishments where the sashes were upgraded to incorporate 2011 building regs compliant double glazed units, and a replica bespoke door and frame. A full painting service was also provided. Householders can normally make minor alterations to their houses without requiring planning permission. This is called “permitted development”. However, in Conservation Areas, the Council has removed these “permitted development rights” by making an Article 4 Direction. – Painting or rendering external brickwork. NB – It is always best to check the specifics of any given conservation area directly with your local Conservation Officer. An Article 4 direction does not prevent you from altering or repairing your home. Repair and maintenance work which does not change the appearance of the property will not need planning permission provided that the same types of materials are used. This means that any sash window, casement window, door or shop front restoration undertaken by yoursashwindows.com, will not require planning permission. yoursashwindows.com have worked in many Conservation Areas and with many Conservation Officers across the country and, where appropriate, we are able to obtain written confirmation that any proposed work does not require planning permission on our client’s behalf. In cases where planning permission will be required, we can provide detailed specification, samples and drawings to support your application. Many conservation officers will not allow existing single glazed box sliding sash windows to be refurbished and double glazed as this normally will alter the exterior appearance of a property. However, our custom made replica double glazed sashes have so far been approved in 100% of Conservation Areas where we have submitted details of our specification directly to the Conservation Officer. This applies to both Victorian and Georgian (the small squares) styles of window. Most recently our double glazed replica sash replacements were approved in such a conservation sensitive area as Chester city walls. English Heritage is the Government’s statutory adviser on the historic environment. Officially known as the Historic Buildings and Monuments Commission for England, they are an executive Non-Departmental Public Body sponsored by the Department for Culture, Media and Sport. Their principal powers and responsibilities are set out in the National Heritage Act (1983). Many conservation projects are supported by an English Heritage grant. On this type of project it is essential that any work undertaken is of the highest standard. Failure to comply with English Heritage’s strict requirements will usually result in the non-payment of their grant. yoursashwindows.com has worked on several English Heritage supported projects in many sensitive conservation areas across the country. We understand the strict requirements this body may impose on a project and because of our bespoke approach on a project by project basis, we have always been able to meet, if not exceed their requirements.